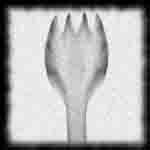 College students from New England are transported to another world because of a mystical spork. WARNING: it gets wicked violent at times. This quote is about the survival of a culture. The initial story was about a Diaspora Armenian visiting Armenia SSR shocked to find out they are Armenian despite their outward differences. They become friends. Daring the world to separate them again.